Maybe Ray said those things and maybe he didn’t. But I’m saying it to you right now. 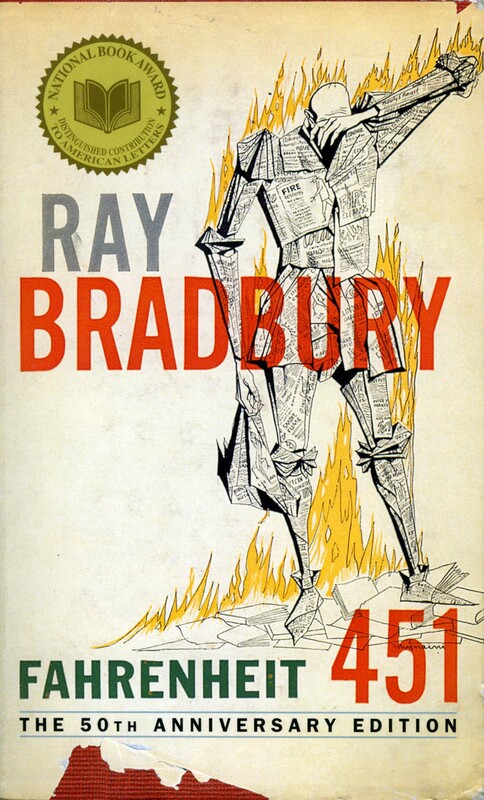 I’m currently reading Fahrenheit 451 and, let me say, it is the kind of book that makes one shift uncomfortably in bed before falling asleep. Similar to George Orwell’s 1984, this small book packs a realistic punch from a distant unimaginable future. I carry this futuristic dystopian society around with me–to the grocery store, at work, in the gym. How is our current reality similar to a world that hates philosophy and new ideas, a world that burns books? What would I do in such a society? Who would I be? Life is short. Life is sweet. Life is NOW. We are not always given the things we believe we need or deserve. The boss will not award us the promotion or extra week of vacation just because we sit passively waiting for our just desserts. I’ve yet to find my one “true love” while sitting on a park bench watching strangers pass me by. Living is not a passive verb and we are not a passive species. In 2014, I will find things that make my life worth (actively) living. And I will go after those things…whether I’m ready for them or not. You put in words what I feel. Love you. Happy 2014!